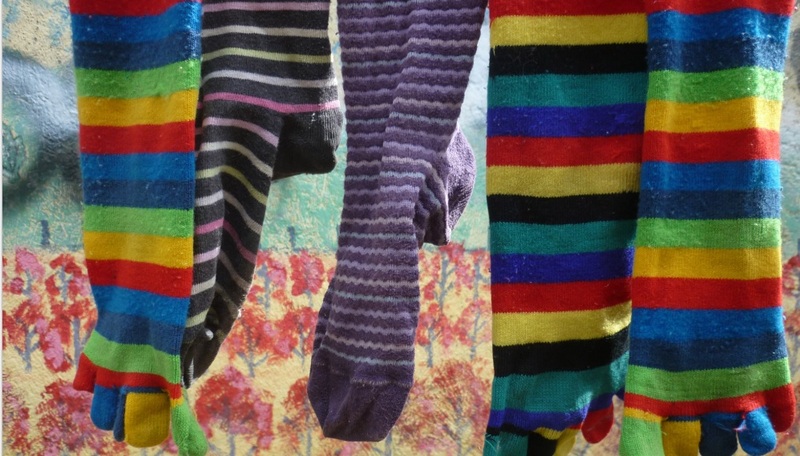 Parents of children at Varndean school have set up a petition in protest at a ban on colourful socks. The petition, which has so far been signed by 129 people, objects at the lack of consultation and complains that the new rule suppresses pupils’ individuality. The petition reads: “Neither students nor parents have been consulted about this addition and we feel current uniform policy is already serviceable and often too restrictive. “Students’ individuality is a key asset of the school and suppressing this through further rules does not benefit the school as a whole. “Teachers time is valuable and should not be wasted on policing small uniform infringements. Ingrid Wakeling started the petition after her 14-year-old son Josef came home railing against the new policy. She said: “He’s a very academic boy and he’s been constantly worried about getting in trouble since he’s been at Varndean. “This seemed to be the last straw for him. He said ‘They just want to get me in trouble’. That’s why I decided to take it up. “I would have thought the school has more important things to be dealing with than the colour of children’s socks. Another parent, Alice Macnair, wrote an open letter to the school, saying: “The policy is unduly strict, without clear rationale. This teaches the children that an essentially arbitrary set of rules about appearance should take precedence over comfort, health, creative expression and autonomy. “Children are spending time being disciplined when they could be being educated. “We are told the school wants children to look smart and business-like. Yet in most business contexts, people have autonomy over their clothing. Jobs requiring a uniform are increasingly rare (army, police, and McDonalds spring to mind). Headteacher William Deighan did not respond to requests for comment. However, he has agreed to meet with Ingrid and has highlighted a student summit due to be held later in the academic year where topics such as “Why Should We Conform?” will be debated. What a complete non-story. If these petty minded parents really valued their children’s education they would stop badgering schools with time-wasting bits of nonsense like this. Let the Headteacher do his job and run his school in a professional manner how he sees fit. If that’s the worst thing Varndean parents can come up with to complain about, then it looks like the school is doing a pretty good job. Snowflake parenting! Totally agree, what an absolute waste of time non event. How hard is it to just send your child to school in a pair of black socks without kicking up a stink. There really are bigger things to worry about. Petty isn’t the word!! A clear case of Soxism.